What is the Difference Between Remodeling and Renovating? When a homeowner buys a new home, there is often a preliminary checklist of projects, which could include an extensive remodeling of an entire home or might be limited to a bit of painting and electrical work. Whatever the case may be, it is important to go into homeownership with the knowledge and common speak of contracting work. Renovation refers to a process of restoring an existing space into a better-repaired situation. This means that a building might be poorly maintained, but with the proper attention, can be renovated back to its optimal condition. This could involve a minor restoration or repairing of an existing structure rather than demolishing and starting from scratch. You may have heard of historical renovations and that requires that the designers pay particular attention to historical design methods and looks. A basic kitchen renovation would use the existing footprint of a kitchen to update and repair the kitchen to a more modern and usable space. A home remodeling project involves changing the actual structure or form of something. In many cases, kitchen design can include a remodel, as a designer will drastically change the entire structure of the kitchen. Walls might be moved and/or the electrical and plumbing might be rearranged along with many other possible configurations. Remodeling projects seek to improve and change the current layout and flow of a room for a better, more functional space. Many homeowners today prefer the look of an open floor plan; so entire walls between the kitchen living spaces are often removed to create an open and inviting flow. When you purchase a home, you should have a pretty good idea of what your kitchen designs require and whether you will need to consider a remodel or renovation. Neither one is inherently cheaper than the other as renovations can run into issues that can be as costly as a complete kitchen gut. 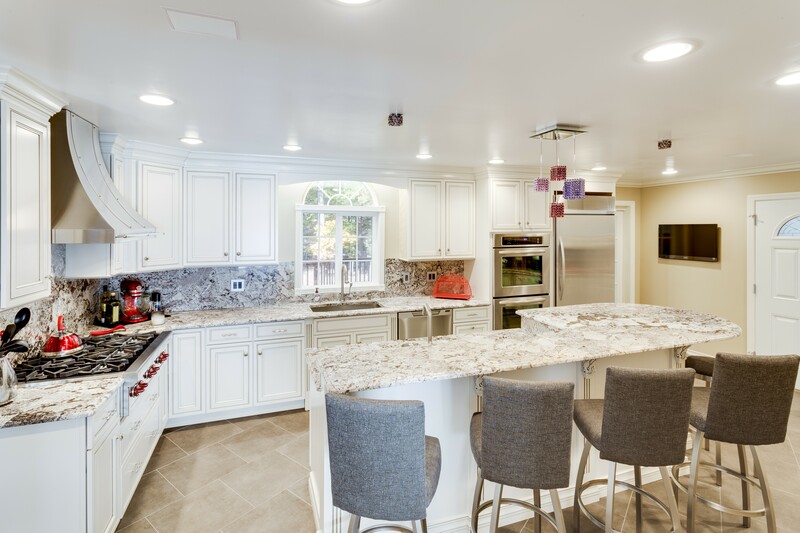 A kitchen is often the starting point for creating the overall feel and style of a home, and if you purchase a home with a really dated and archaic looking kitchen, it may be appropriate to consider a full remodel. 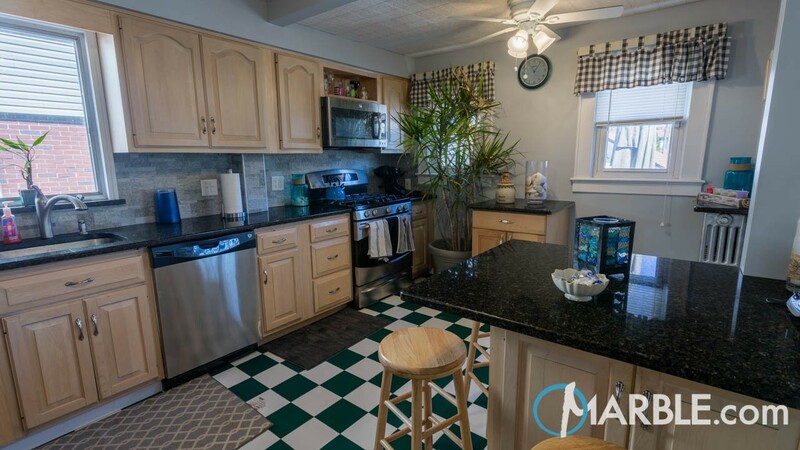 The times of Formica countertops and linoleum floors are gone as they made way for the more modern and contemporary kitchens of today that are typically adorned with granite, marble, or quartzite countertops. New kitchen countertops can instantly update the look of a kitchen, and, in turn, increase your home’s resale value. The natural stone industry sees a high demand for all types of granite colors from Bianco Antico granite to the rich and dark Ubatuba Granite. Countertop installations of rich natural stone can transform a kitchen and form the basis for the overall kitchen design. While granite has always been considered the king of the kitchen in terms of stone installations because of its strength and resilience, there still remains a high demand for the more delicate and rich marble countertops. It goes without question that a marble center island can be a show-stopping way to create a visually pleasing kitchen design, but with all marble installations, come increased maintenance and care. Marble will etch over time when exposed to acids and requires sealing up to 4 times a year, which leads us to recommend it most for lower traffic areas. Granite and quartzite will not etch and are much stronger stones that are resistant to chipping. They still require sealing 1-2 times a year, but it is essentially a very easy maintenance task. Granite can be sourced in many colors, but quartzite is limited to white and gray colors as it creates a very similar look to marble. More and more homeowners look to quartzite countertop installations to transform their kitchens while mimicking the look of marble. If you are lucky enough to purchase a home that already has updated granite, marble, or quartzite countertops, you may have a very limited kitchen remodeling project on your hands and may opt to resurface your cabinets, change out your backsplash or even just change the color of the paint on the walls to transform your kitchen into your personal space.